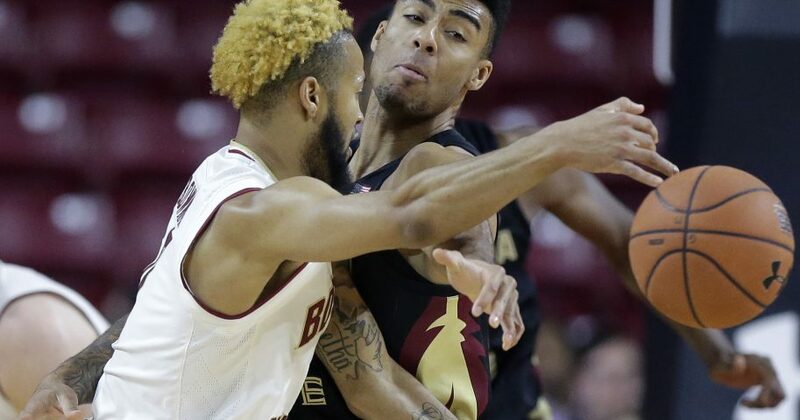 Running back AJ Dillon, the Atlantic Coast Conference’s preseason football player of the year, got out of his courtside seat and wiped down the floor while the teams lined up for a free throw, drawing a chuckle and a cheer from the crowd. But freshman Wynston Tabbs made a 3-pointer with 24 seconds remaining to turn back the rally and snap the Eagles’ five-game losing streak. The Eagles also got some help from Nik Popovic, who at 6-foot-11 was able to dribble through the press in the second half and made five of his six free-throw attempts to ice it. “Anytime you start with your first three games on the road, you can get in a big hole this early in the season,” Hamilton said. “It just builds confidence in each player, believing in one another and what it takes to beat one of the top teams in the ACC,” Bowman said.